I hate to admit this, but I can sometimes be a total mess. I don't why, but staying organized has always been one of my biggest challenges. My purse if filled with endless receipts, I have tons of papers that need to be filed, there are piles of clothes on my closet floor (the list goes on). That's really the one thing I would change about myself. Deep inside, I secrelty wish I were one of those clean freaks that there house is super spotless and nothing (nothing!) is out of place. 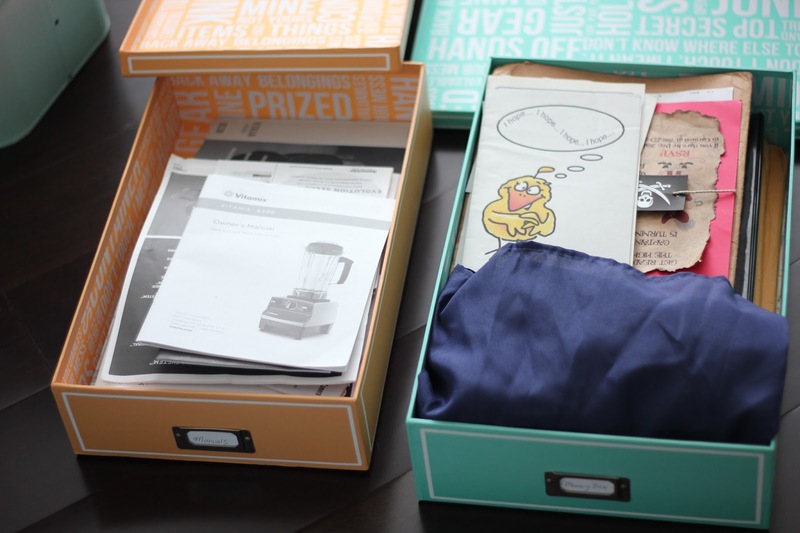 I had read once that people who are disorganized are often exceptionally creative and I use to like to blame my "creative side" with being messy. But the truth is, there's something about being organized that really brings calmness and peace. And I WANT that! Hey, even the bible says that God is a god of peace and not of disorder. 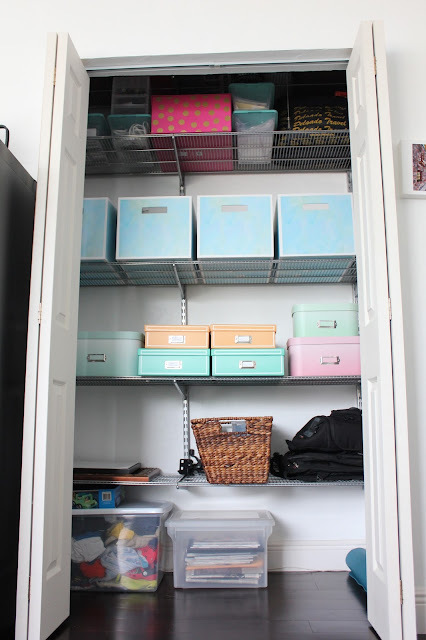 When you're organized, things just seem to run smoothly. You also don't have to spend time trying to find things. The past couple of weeks I've been making it my mission to get organized. From watching tutorials on YouTube to reading The Life Changing Magic of Tidying Up. 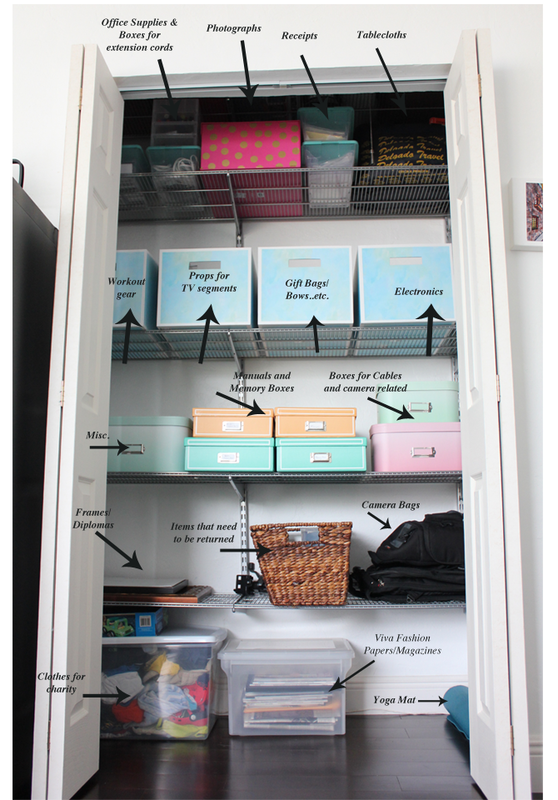 I'm determined to be organized. But I've realized it doesn't happen overnight. 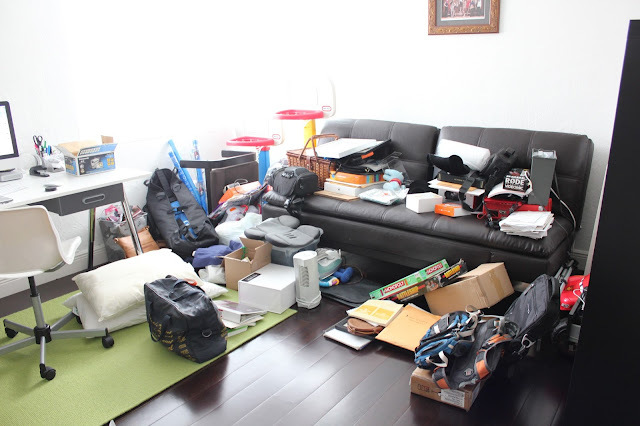 You really need to have a plan and most importantly, I've learned, is that one of the keys to being organized is that everything needs to have a place. 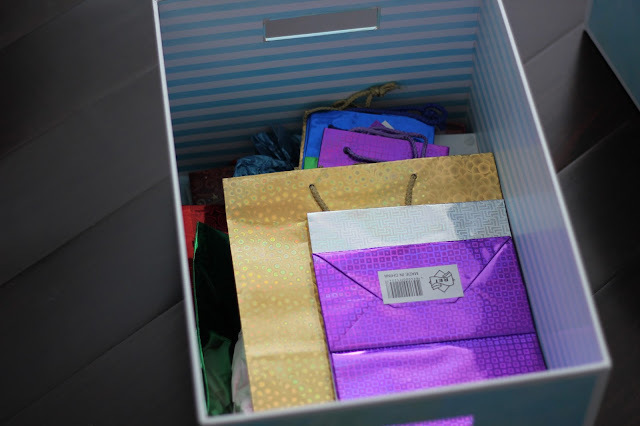 So I'm starting a little series here on Viva Fashion on getting organized (and I hope you'll follow along). First up is my office closet. Here are some before pictures of what it looked like. As you can see, nothing really had a place. Everything was just kinda thrown in there. At one point, I even had clothes hanging from the rods (but I didn't get a chance to take a picture of that). Take Everything Out: So the first step that I did was literally to take everything out of my closet. I piled it in my office and went through everything and decided what was trash (and what to giveaway). This step is crucial and pretty much cut everything I had in half. I never realized how much trash I was storing. This is what my closet looked like after I cleared it up. 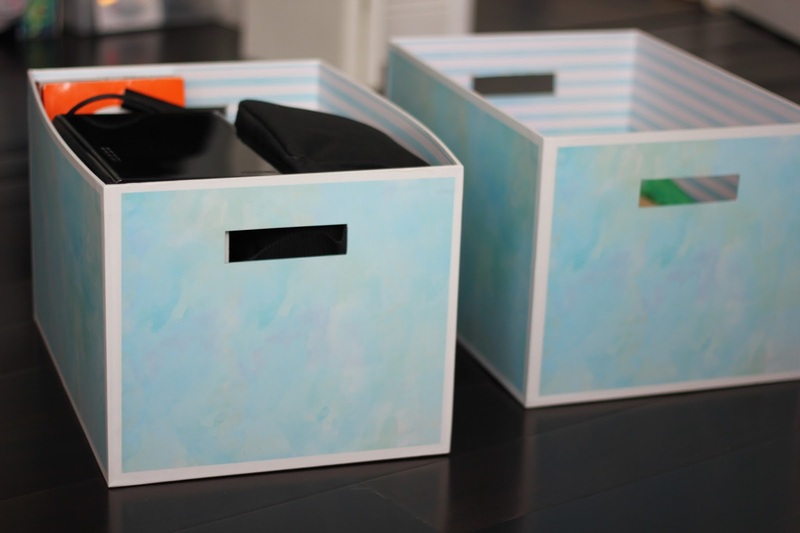 Buying Storage Boxes: Before you buy storage boxes it's important to go through what you have so you can decide what type of boxes you'll need (and so you avoid buying unnecessary things). 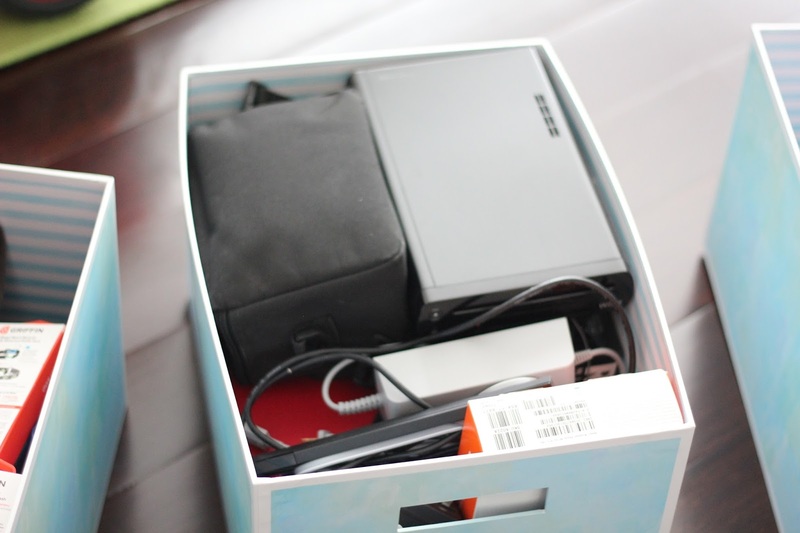 I also realized very quickly how expensive they can be, one storage box at The Container Store was almost $20 bucks! So I decided to head to HomeGoods (where I found everything I needed). They have tons of options for storage and their prices are sooo reasonable. 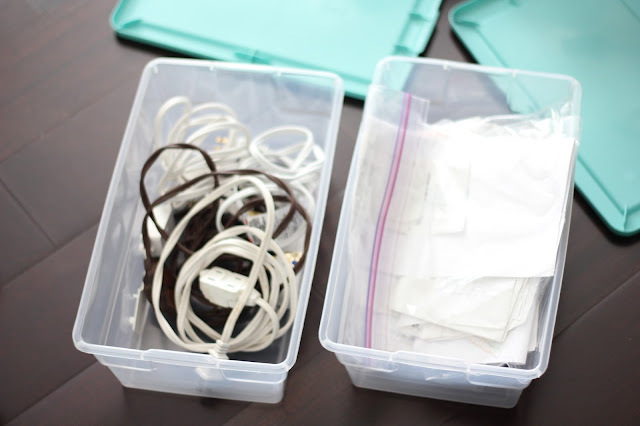 These sturdy boxes were just $6.99 each (so you don't have to sacrifice on quality either). I had a hard time trying to convince the hubby to paint our office pink haha, but at HomeGoods I found the most adorable pastel colored boxes. Aren't they cute? Now when I look at them, they still add that fun, girly element I was looking for. 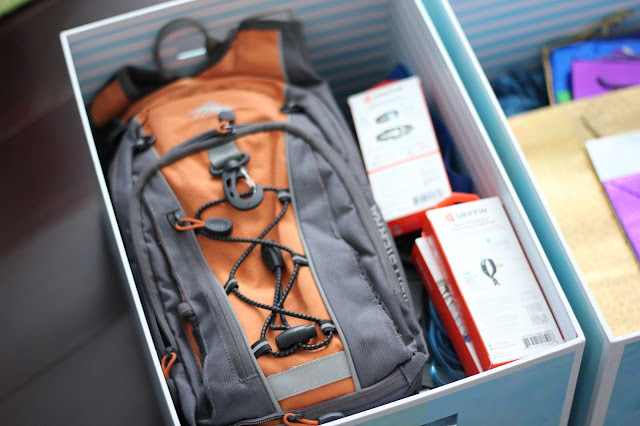 Now that you have your boxes, it's time to group things together. Remember, everything needs a place. Here are just a few of the items that I grouped together so you get an idea (but this is going to be different for every person and depends on what you have). Box for gift bags, bows...etc. 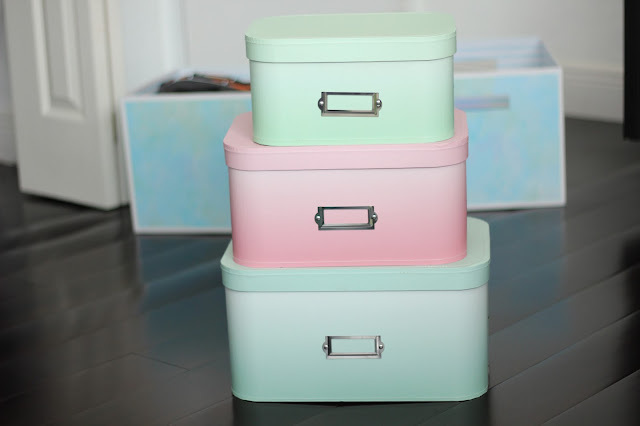 I found these great tupperware bins at HomeGoods for under $3 bucks. I also realized how much wasted space my closet had, so I bought some extra shelving space, which made a total difference. 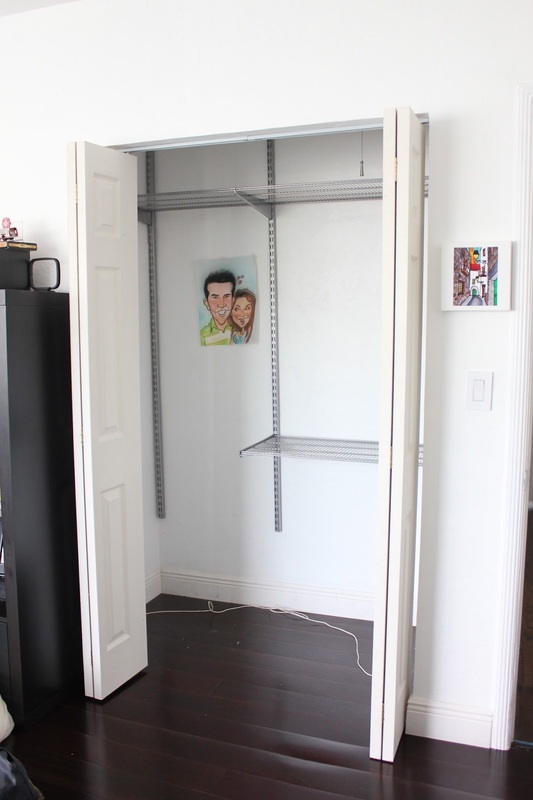 Once everything had a place, then I put everything back in the closet. And there you have it! It's so weird, but being organized actually makes me feel very happy. I probably have some items you can do without because of my job (ie. props for TV segments..) but wanted to show you overall how I organized everything so you can get an idea. Do you have a hard time being/staying organized? Leave me a comment below and let me know what area you'd like to feature next. This post is brought to you in collaboration with HomeGoods. Thank you for supporting the sponsors that make Viva Fashion possible. I try to stay organized as much as possible, but it's usually last on my list when I have other things going on. I am actually planning to organize my closet this weekend because it's not looking very pretty. By the way, I love the pastel colored boxes you got. They are super cute!